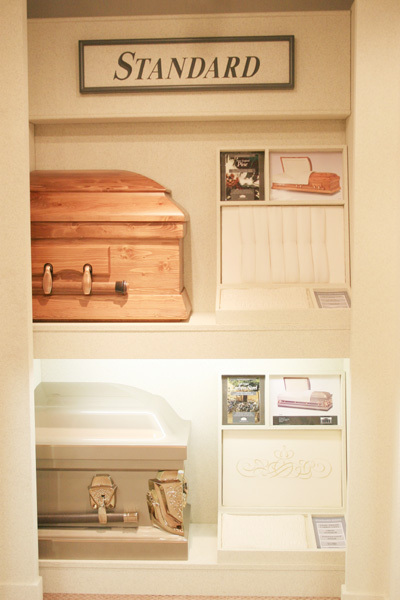 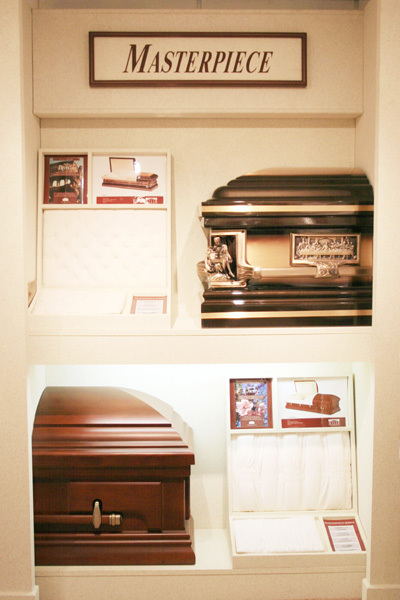 We offer a variety of elegantly designed, simple and affordable caskets to meet every budget. 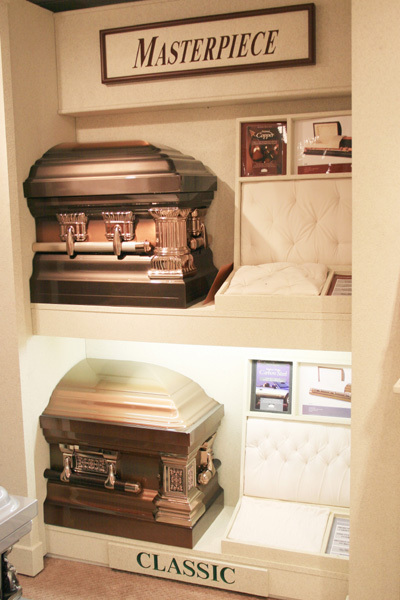 Our selection includes caskets made of metal (bronze, copper, steel), wood (walnut, mahogany, cherry, oak, poplar and pine), all of different styles, colors and interiors to suit your taste and budget. 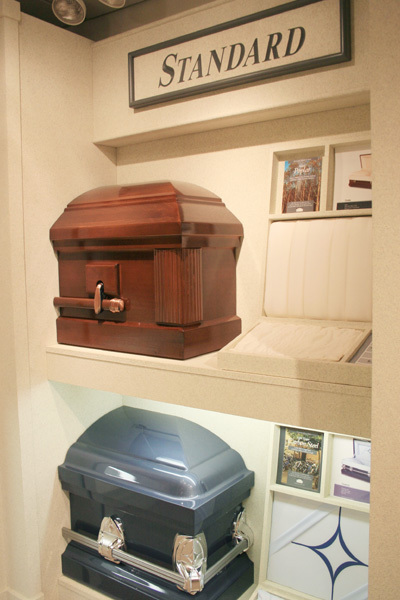 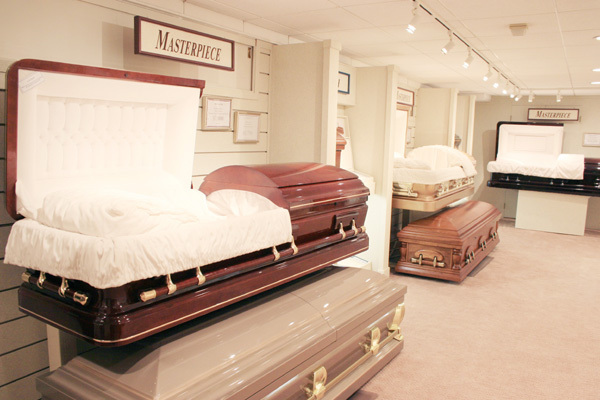 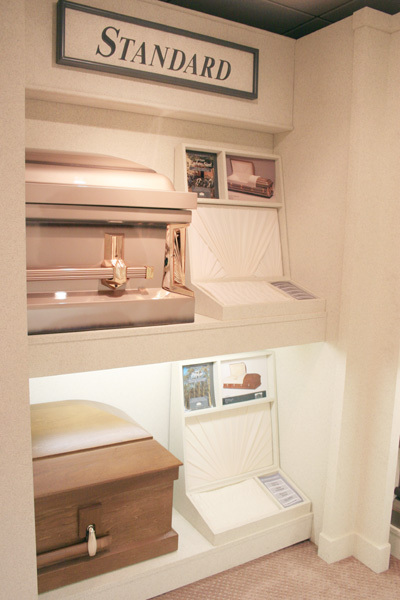 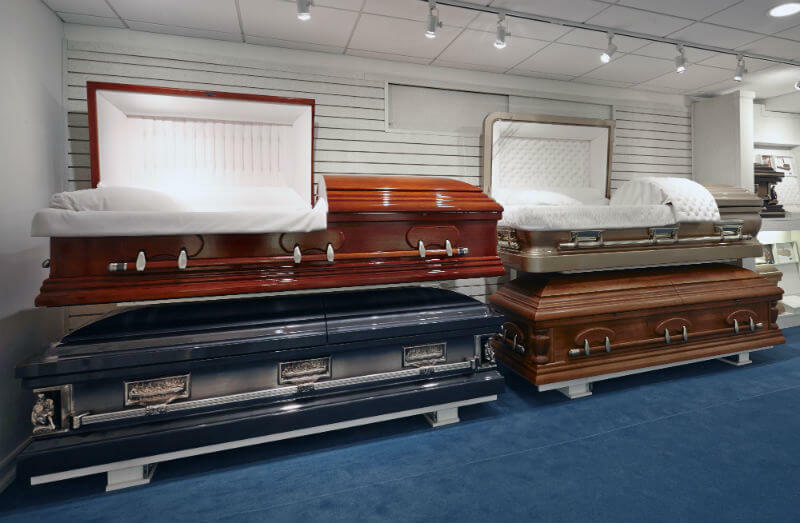 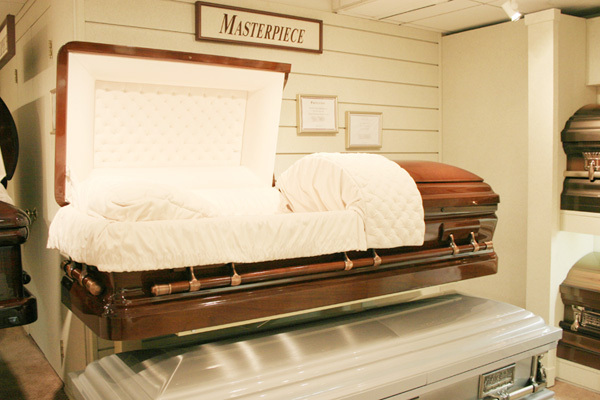 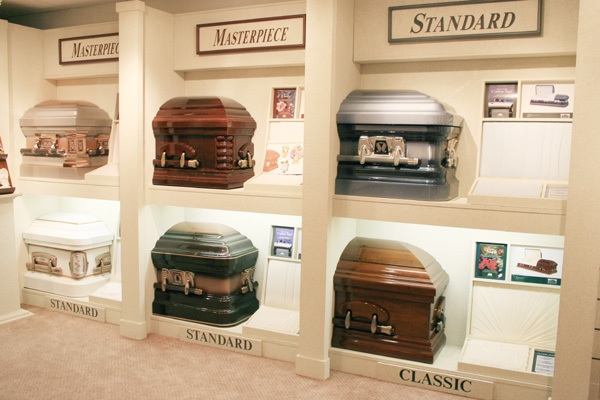 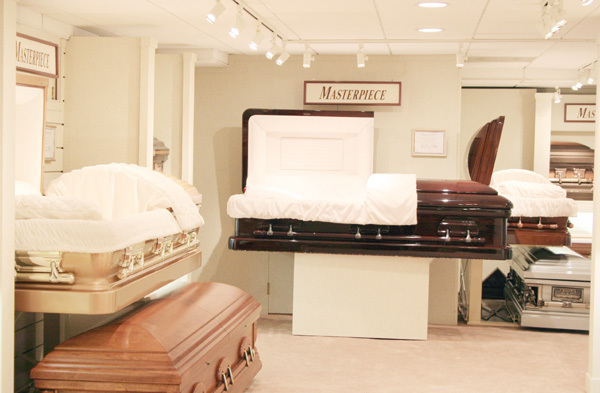 Call us to find out more about our caskets and price ranges. 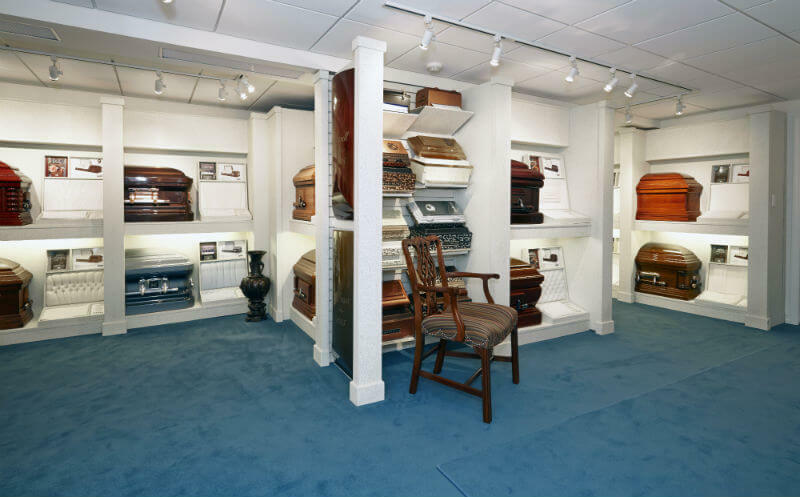 Our staff will help you make the best decisions.